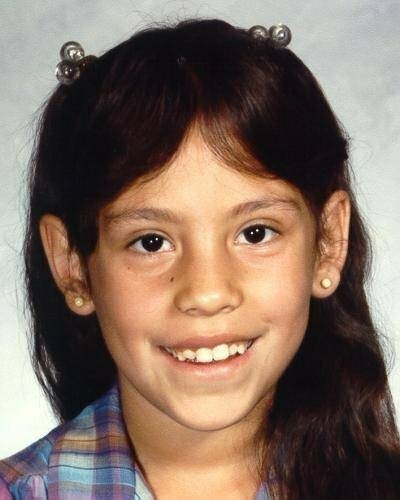 Anthonette was abducted from her front door in the middle of the night on April 6,1986 in Gallup,NM. She was just nine years old at the time. She was tricked into opening the door for what she thought was an uncle. It was not. "There were several possible sightings of her in the days after her disappearance; she was allegedly seen at a restaurant with a man and kept dropping her fork. After the girl and the man left, someone found a note from the girl asking for help and the police. It has not been confirmed that the girl in the restaurant was Cayedito." This card means that it is not 'expected' that Anthonette will be found. There is too much maturity in the case, its a long time ago and tarot is actually telling us that because of that and the maturity of this case we have to consider it may not be possible. The Pages are all messages in general, and reversed we do not have any messages about this girl, we also have to know that the page in this position shows us seduction and deception in personal and business relationships. That can suggest that it is rather a closed case around her. This page shows us that we mus,nt be blind to the realities of the world and clearly shows a sadness and meloncholy for this child and a retreat from society. We cannot think of Anthonette as 'the child' anymore as she will be a grown woman by now and much can happen in the period of time that she has been away. I even feel it is quite possible looking at this card that things have changed and she does,nt dwell in the past anymore, that she may not seek to be 'fished out' - and for this reason I have put the conclusion of this case FIRST and not last. When I looked firstly at the tarot I saw something a bit strange if I was honest and wondered if I was actually considering things right. The question I asked is 'what happened' and I received the Queen of Wands in REVERSE. This card is actually quite curious because firstly most people consider Queens as strong woman, or Woman or the household or woman in business etc. I am very sensitive to tarot and I know full well that its message is often full of 'other messages' one of the messages on this card was 'dont be a drama queen' - so if you read the conclusion you might see that perhaps I should,nt be asking these questions now as it is so late in the day? Well, anyway going back in time the Queen is connected to the Emperor, so we do have to consider there is a strong MALE influence on this card in the beginning of 'what happened'. Queens and Kings dont necessarily HAVE to be the natural assumed agenda of Male and Female - but can have the character traits of each other. IE. a Queen can actually be a male with the Queen characteristics and vice versa. This Queen is a queen FULL of action. This is a really full on card which would show fast action and precision - the card before that is the Page of Wands which of course is the MESSAGE - and I understand that the sister suggested that Anthonette was abducted from the doorway. After that we have the King of wands who disappears rapidly from the Scene. The Emperor is connected to the Four and this is all on the first card the Queen of Wands. Remember this card is REVERSED. When is reversed it tends to 'change' the polarity of the card and produce a slightly different slant to the findings. We have to go back to the Queen herself and incorporate this information back into the card. The Queen is often thought of as the EMPRESS and we know that is the MOTHER figure. Again the card is reversed and we must not forget this. The Queen of Wands represents a 'trip' so 'going somewhere' is on the card - it is reversed so it might suggest that someone did NOT want to go anywhere. The Queen when upright ( if linked as an Empress - mother ) usually they love children and are almost over-active participants in the lives of their kids. This again though is reversed. So we have to reverse the Emperor where it shows us that Anthonette refused to Budge into what might appear that she did. The mother figure seems to have had no say in this because the Queen is reversed and not a participant in the event. It seems to leave the sister who tells the story that Anthonette was removed /abducted. The Queen of Wands reversed shows us that someone was bullied and attacked. It also shows other traits which dont seem to 'fit into' the equation. For example, the queen shows someone who seems to be in a chronically bad mood, and is angry, resentful and jealous. Furthermore this Queen appears to reveal that perceptions are skewed and information is being twisted into lies and that really someone is demanding, controlling, petty and narrow-minded. The person thought responsible was thought to be an 'uncle' but this card is the EMPEROR and the EMPEROR is always thought of mostly as the 'father figure'. Obviously it makes you wonder whether it was the father who showed up as the mother did not appear to be on the scene and there is no backlog of other information to this story. I could be completely off the beaten path here but - they are little things to point out. Why for example would the Queen give us skewed perception? and possibly even twisted lies? Maybe the Emperoror who showed up told the lies, and if it was not him, that would put a question mark on the issue would,nt it? Anyway rather than labour the point or wonder further I just asked tarot if there was a reason WHY this young girl disappeared not just what happened because there is always a reason for everything. Tarot gave me the Lovers card. Often the Lovers is a 'choice' but more interestingly the Lover card is linked to the six of cups. The six of cups takes us to the PAST so basically even further back - where there are two children in the family home and they were 'disported' from there so it rather looks like there might have been some possible family break up? The lovers may represent the parents in this case specifically with the six of cups linked to it and some past element that comes into play here. I see the card is the right up also. So I wondered just how this could be a choice???? And if it was a Choice WHO made that choice? Was the choice made for Anthonette? The Lovers card also completely illuminates the time exactly when Anthonette disappeared so there is absolutely no mistake here from tarot that this card is the reason WHY. The Bull is a Taurus card - which can rule speech. We see and hear on this card so it suggests 'seeing someone' and 'hearing someone' - and as you can see it is the month of APRIL when Anthonette vanished. This to me does not appear to be a stranger abduction but it makes me wonder if it is not an uncle but perhaps a father or father figure that could possibly have come from the past. So they do appear to possibly be connected to the family. The Lovers also is a duality card - Twin card - Gemini is linked here and that can represent TWIN - therefore we might associate TWO CHILDREN which is exactly what we have on the complimentary 6 of cups card. But what I find so very interesting in this Lovers card is exactly the CHOICE. Because here is a man who apparently stands between two women. He looks at them both. He has to make a choice - or is it his choice? It has to be someones. This man is definately someone who has been 'searching' for a long time. He is unlikely to randomly turn up as a stranger to this doorstep and take a child. I say this because on the Lovers card the man has a 'recognition' of the person he is looking at. Therefore I think that rather throws a different light on things. It is suggested in the Lovers card that they both recognise each other and head off together...but of course we are looking at tarot here and one cannot say this absolutely correct but that is what seems to be said here. And on this Lovers card that recognition is said that though it will cause some trouble for him to bring this woman with him, to go somewhere else entirely, the Fool knows he dare not leave her behind. So you see - it is a puzzle indeed. Now of course having seen this in tarot and not wishing to make any assumptions, I moved on to look at where Anthonette might be and received the Ace of Wands Reversed. Again this is card full of sparks energy and action but its not doing that, its reversed and there seems to be no action on this whatsoever in respect of giving me any real solution to this question. Its at this point that I would think to myself, well maybe we are not supposed to look for Anthonette. That aside, the ace reversed is linked to Judgement and when it is reversed it has some very negative and not very nice qualities to it if I was truly honest. South and Summer do tend to be the elements given but I know that as its reversed its wise to consider North and Winter too but I have a true 'thumbs down' for asking where Anthonette is and with that Judgement card it puts me off feeling that there could be a good end to this. Even with Judgement and Ace of Wands in a negative mode, it might suggest a 'red cross' type area - hospital or unhealthiness or sickness. Ace of Wands I have often associated with the interstate which as a reversed card suggests possibly outside of that. But this is not categorical. On the subject of 'wanting to be found' the card above suggests somehow a drawing away from the opportunity of stability and comfort - and once again its a sticking point for me as the material world seems to pull Anthonette away from that. So I am not really sure what to think here. Tarot does,nt get everything right and of course that is why I always make a declaration that it cannot be 100 per cent accurate but when there are children out there nomatter how long ago they disappeared it feels like a national even international responsibility to offer 'something' in response to these missing people. Responding with tarot is not always accepted. I understand this - but I still offer what I am given as a basic element and really I always think second opinions are a good idea. To ANTHONETTE I send you love, blessing and peace. There really does not seem to be any news for Anthonette but I am bumping up her profile so that if any has further news to let me know. An age progressed photograph is on the link below.